The 31-year-old actress will play the enigmatically beautiful and professionally dangerous Isabel Rochev, Vice President of Acquisitions of Stellmoor International, a company looking to take over Queen Consolidated. 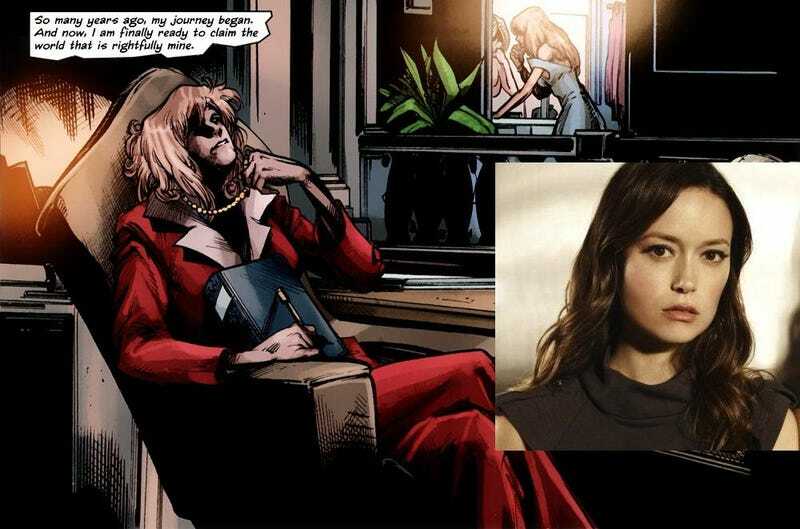 In the comics, Isabel, also known as The Queen, went on to become the CEO of Queen Industries long after the death of Robert Queen (Jamey Sheridan), whom she believed she loved. And since Isabel's comic book counterpart had it out for both Moira Queen (Susanna Thompson) and Oliver (Stephen Amell), they may need to watch out. Isabel made a blink-and-you'd-miss-it cameo during the first season, when her name appeared in Robert Queen's book of corrupt people that Oliver had been taking down since he left the island. Could this mean she's one of the two villains executive producer Marc Guggenheim teased would be in Season 2? Arrow Postmortem: Is Oliver done being the vigilante in Season 2? Glau, who will make her Arrow debut in the Season 2 premiere, is best known for her roles onFirefly, Dollhouse and Terminator: The Sarah Connor Chronicles. She joins an impressive list of genre castings on the series, including Torchwood's John Barrowman, X-Men's Kelly Hu,Spartacus' Manu Bennett, Fringe's Seth Gabel and Doctor Who's Alex Kingston, among others. The second season of Arrow premiere Wednesday, Oct. 9 at 8/7c on The CW. Did you know there are Defiance webisodes?